I admit, this is no glamor shot, but it's photographic evidence that I have a cardigan in progress. It's the Common Ground. Knitting cardigans make me nervous. You know, it is going to fit etc. And don't you Elizabeth Zimmerman me and ask if I got gauge. Gauge shmauge. I just want to knit! Regardless, it's a well written pattern and my first time using Cascade Ecological Wool. My friend the Quiet DA is a huge fan. It yields an unwieldy sized ball /cake of yarn. It feels softer on my hands than I thought it would, and the color is rich and a little heathered. It's bulky weight knit on larger needles (US10 & 9s), so I anticipate it will knit up fairly quickly. 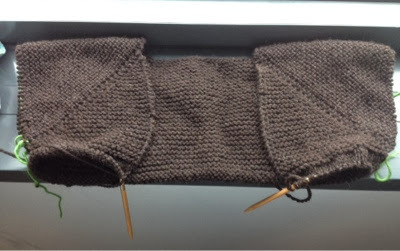 I'm essentially at the very beginning of the body just after the raglan shaping and dividing for sleeves. I have about 17 rows of stockinette before I dive into the lace pattern. Should be interesting. Hopes and dreams for this thing? That it is finished by March 15. That it's good for a Saturday morning in yoga pants with a hot cup of coffee or tea and a soccer match either The Kid's or on the t.v. I don't need a perfect fit, just a hug. I'm knitting this over in the My Sister's Knitter group on Ravelry. What's your WIP? Are you knitting along somewheres? From the left: the great divide, fall sock #2, and common ground. More busy to come shortly. The season is already ridiculously short. 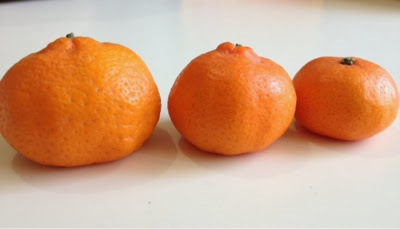 And now I heard one of the major orchards has lost half it's crop to frost. They are not the sweetest I've ever had, but I am so grateful they are here. 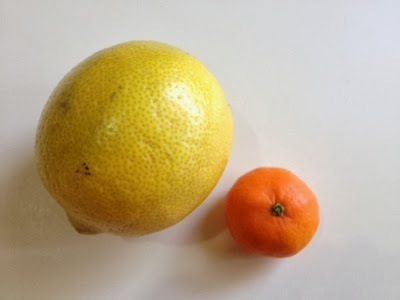 Tasty vitamin C times, yay! Here are a few more photos to give you a sense of how tiny they are. I will answer the mystery food question from last post. 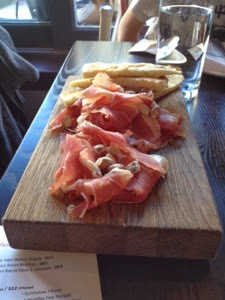 The pink / raw looking thin stuff was actually Serrano ham, the spanish cousin of Italian Proscuitto. It was served with candied halved almonds and some kind of home made pita-ish bread that my son let me have ONE puny slice of. 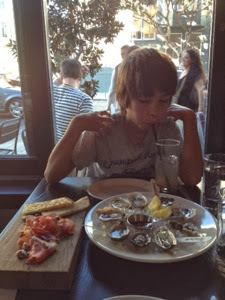 The oysters were: kumamotos; kusshis and somersets -- though I think it was my Sister who asked about those. Next time Sis, we'll treat you too! A quick trip to the discount fabric store for new embroidery scissors. Alas, they did not have the ones I wanted. Also, the scissor prices were not so discounted. I will have to keep digging and see if I can find my favorite Ginghers. I think the boys take them for their random snip purposes around the house. hmph! 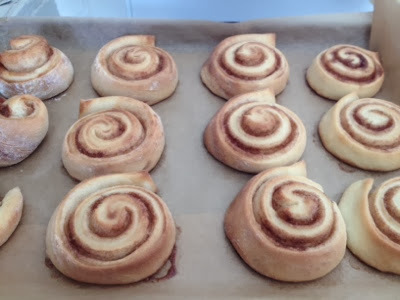 And last but not least an attempt at cinnamon rolls. It was supposed to be "Pull-apart bread". But I morphed it per The Kid's request -- and I needed to practice my day ahead preparation/technique for a future brunch event, anyhow. I did the initial rise the day before and the second refrigeration over night, which was nice. I felt less harried. 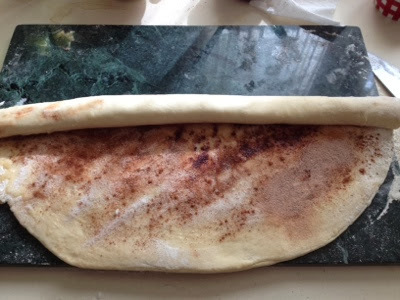 The Kid said, "It could use more cinnamon next time." Duly noted. 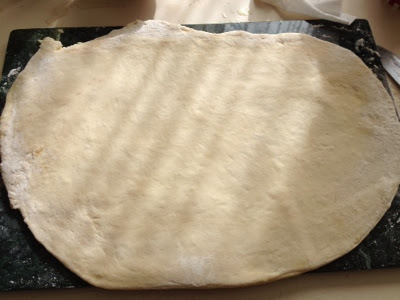 Because I have a smallish marble pastry board, I broke out my dough in half to work with. 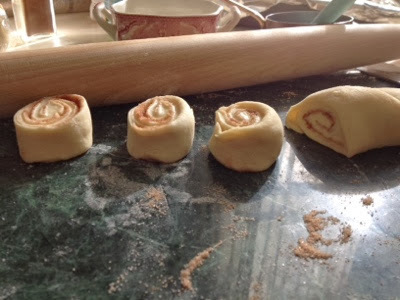 (This is actually Pioneer Woman's Cinnamon Roll Recipe in half which means, 1/4 the dough of the whole recipe was worked per log.) 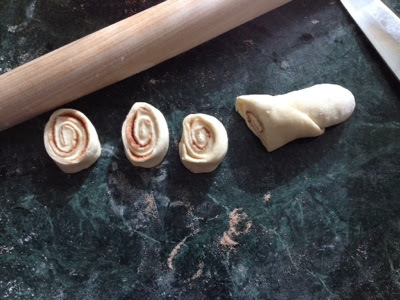 This yielded more of a miniature cinnamon roll. 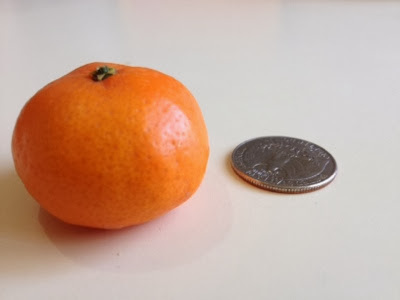 Who doesn't love mini things right? Hello can you say kittens, puppies and kids -- all miniature things that are heck-a-dorable! 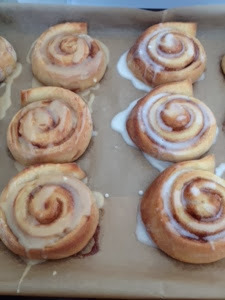 Remember parchment paper is a baker's best friend and it's compostable. The PW uses a maple frosting/glaze. She's kind of a maple-a-holic, which I usually can get behind, but sometimes it's all just too sweet. So, I did a third plain, a third in vanilla glaze (a little thin I'll admit it) and then I winged my own version of her maple glaze, electing to remove the maple, and leave the coffee. So i guess it's technically Blue Bottle coffee glaze. Blue bottle coffee brings out the coffee snob in me. It's a treat, it's my favorite. 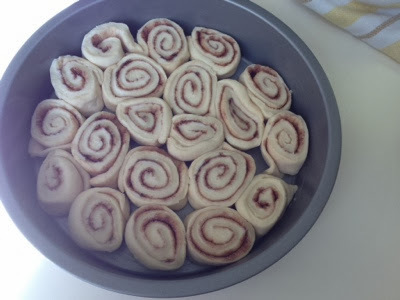 Because The Kid and I were going to attempt tennis again on Monday, I slapped the rest of the minis in a cake pan to make a rosette so we weren't there baking all day. PW is fond of this practice. It feels ... messy to me for eating purposes, but it worked. I did a half coffee/half vanilla drizzle for the Tuesday morning school Coffee Clatch (not to be confused with the Koffee Klatch at work). Waiting for our turn for a court. 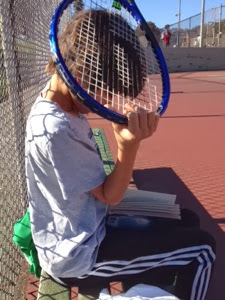 Our reward for our sad but fun attempt at tennis. This week was low on knitting. I've been having late night love sessions with the second sock from the long overdue fall pair. Seriously, the more I knit a sock, the more I love sock knitting. Sometimes when I'm feeling sorry for myself I go into my stash and touch sock yarn. I never said I wasn't a weirdo. I am so excited about socks, my novice sock knitting self has decided to KAL for Mr. Dress Up (which is a lovely free pattern!) with the Wandering Cat Yarns group. I'm just waiting for my yarn (I really wanted to use Wandering Cat) which should be here VERY soon. And socks I can cast on anytime. Tee hee! Exciting sock times. The work week is just not really conducive to bigger projects. There have been some epic parenting battles going on in our home. Lots of discussions on discipline, consistency and consideration. There have been gentle and not so gentle reminders that disappointment is a part of life, and the frustration and even anger one feels is okay. However it's one thing to feel these things, it's another thing to not manage it. Don't be mean, don't take it out on others, don't be self destructive (or kick your wall). As I told my friend Harrigan, that's too close to being "that guy". Or 10 years or so away from being "that a**hole at work". We are trying do to better with our one son legacy (and myself!) than that... and try and put some good and better in our society. Wish me luck! Anyhow that whole domestic thing is takin' up a little time and brain power. I didn't have enough yarn in my stash for the Downton Abbey KAL shawl so ... meh. Path of least resistance. So much to knit, you know? I am still planning on Cecily, but I don't currently have the right yarn quantities for the exact pattern, I'm sure I can modify, but do I want to? Debating makes a patten lose it's luster sometimes. As my mother says in a fabric store, "Self restraint? What's that?" *but wait till you see the bold bright colors of my Great Divide! CJ! From the Above The River blog! life as it happens to me, in a small market town in South Gloucestershire, where I live with my other half and our three boys. I like making things and growing things. 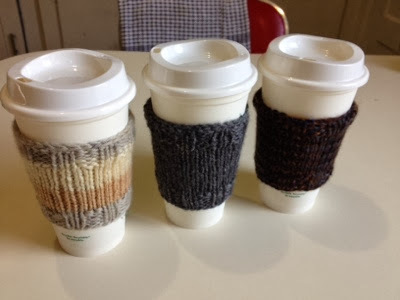 CJ, I've sent you an email and what a message at what I think is your ravelry handle. 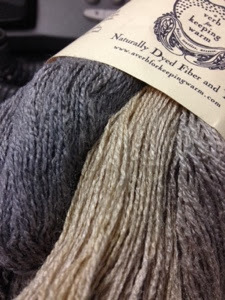 I'm elns on ravelry, send me your mailing address so I can get this yarn to your home! The rest of you are still winners in my eyes, stay tuned, there will be another give away soon! I like these, because they are fun little yarn bombs for public consumption. They use scrap yarn, and that always makes me happy. I have been experimenting with different yarn types. The one on the left was an aran self striping wool. I use this one regularly, and it has garnered some requests at school and the office. The middle one is some left over Lion Brand Wool-Ease Worsted, and the the one on the right is some hand painted misti alpalca. Unfortunately the alpaca didn't work so well, due to the thinness. 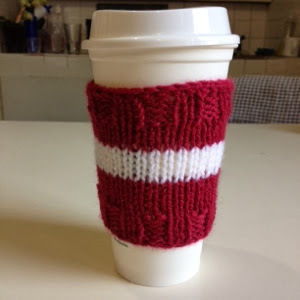 I would have to modify a bit for a proper knit, but it's decorative ;) These fit a reusable Starbucks Grande, cast on with a 32, and a stretchy 2tbl bind off, but I'm thinking I will try to go up to 36 to see if it fits better for non aran worsted. The above are two more soccer knits that I had from that yarn that matched my son's soccer kit. 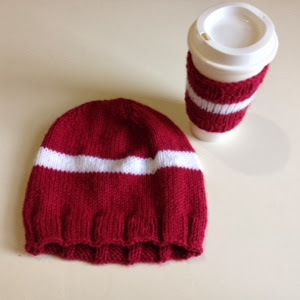 The hat is for one of the coaches, and the coffee sleeve is for another parent. Just goofin' around with my scraps. 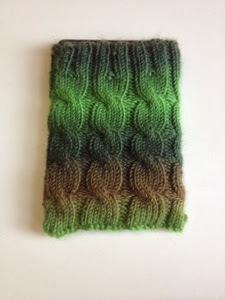 And this was my attempt at a kindle cozy (Wee Pleasures does them very nicely). I'm less than satisfied with it, mainly because one should never try to kitchener at midnight with the night lamp on . I kitchenered wrong, but I couldn't back it out, so I tried to re-inforce the seam with some muddled weaving in. The pattern is great. I will try again. 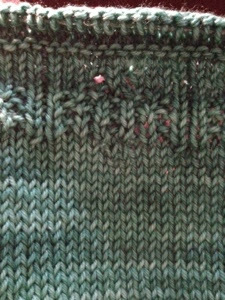 I have actually had successful moments with the kitchener stitch, so I'm a little surprised at this hot mess knit. It was supposed to be a gift, but I will have to dig out some other yarn and try again for Mlouis. I am not really knitting very well right now. In fact I am blocking a shawl that is another good pattern that I seem to have murdered. I may have to frog it. Maybe I'm a "need to knit it twice" kind of gal? Good thing I like to knit! Remember tomorrow is the last day to enter for the January Give-away! Happy (and Quality!) knitting to you! Well, okay then. Like I told the Delusional Knitter, I LOVE validation, and it came to me in the form or your comments on my Friday post. 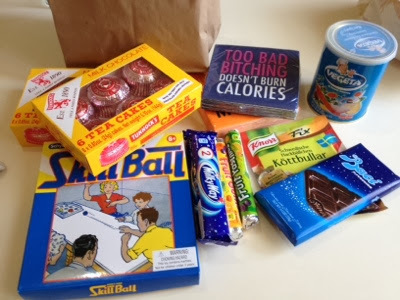 You said, it was okay to giveaway from my stash. So my knitting brethren, here we are. 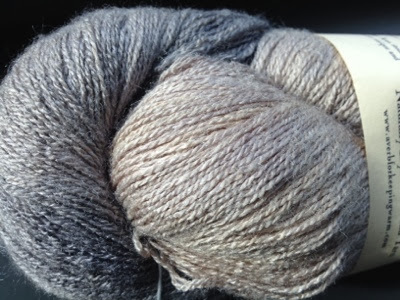 It's a lovely hank of Shimmering in the colorway, "Supernova". 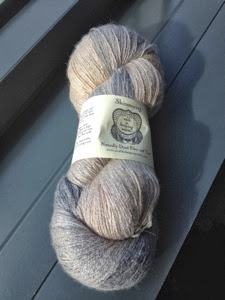 (It's not actually a shimmering yarn) 100% Tussah Silk in 1093 yards from a local company a Verb for Keeping Warm. 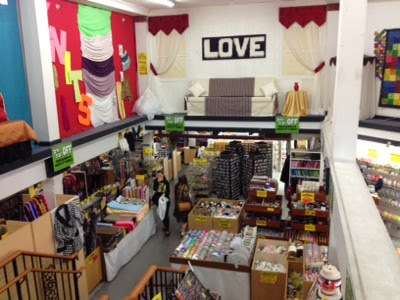 They are lovely shop in the East Bay run by lovely people. I bought 2 hanks of this with some bizarre idea I was going to do a lace weight cardigan before I understood what lace weight was and how tedious cardigans can easily become and ... I am not in love with the pattern anymore, know how that goes? Now I just want one hank for a basic shawl/wrap ... one day. So the other hank is for one of you if you'd like it. 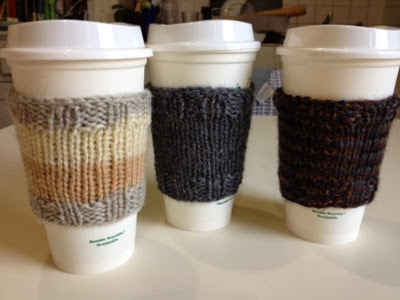 Let me know in the comments below with some way of contacting you, ravelry handle etc. A Week from Tuesday will be our cutoff. (Jan 14) so I can get it in the mail to you this month.! Thanks as always for your visits and your lovely blogs and comments. Monday Chatter: What are you looking at? I'm finishing up a shawl project that I thought would be off the needles this weekend, but when I sat down to finish it, I realized I was running out of yarn, I wasn't going to have enough to properly bind off ... so I tinked back a good 400 stitches last night and will finish it up today with a proper post to follow this week. Downton Abbey returns to PBS and our knitting needles with a vengeance. I completely flaked on the Downton Abbey KAL last year. 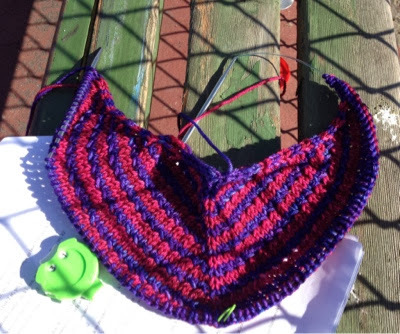 (I'm okay with that, I'm a fickle knitter and must follow my pattern mood ring ... keeps things fresh) However this year it's a shawl. And ... I have some dk in the stash. Perhaps I'll give it a crack again. 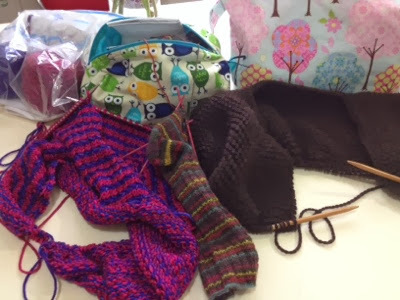 And My Sister's Knitter and Project Stash are always people/groups I seem to be able to complete an item for. It's such a warm fuzzy feeling reading the group postings over there. Looks like those fall socks (2013) may never get done. hehe. Stash Etiquette: What say you? But I have one. One that I want to discuss and I need your input on, because I'm beyond thinking for myself. I am still working hard on letting go. Letting go of all kinds of things: disappointment; anxiety; and of course physical, material items. This is where I need your help. I have stuff. I have a stash and I don't need all of it. But I still want some of it. There is a local social working group, that needs some crafting/knitting supplies I am working on a box for, but what about you guys? I have some other items that I know I probably won't use but would like to give a home. Pattern books or knitting magazine issues in good condition, and yes ... yarn. 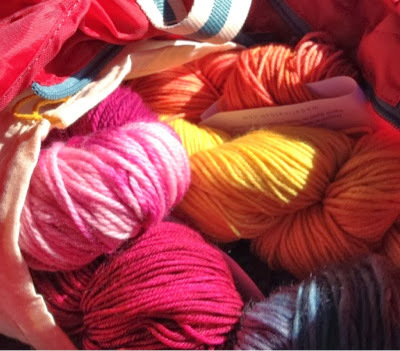 What if I offered to give away something once a month from my stash -- I can commit myself to the post office once a month (though I have a tendency to be allergic to the Post in the month of December). I would pay for the shipping. If you are interested you leave me a comment. If there is more than one comment than I raffle it off. Is this weird? Is this tacky? Is this OK? It's a start a beginning it's new! There is a sparkle and shine for us all to grab onto. Alas I started mine by trying to fix my intermittent internet issues. I thought it was the router. My coffee went cold, my router reset was still not allowing my laptop or phones continual web access. Was I stupid? Was there something I was missing? At 1 pm I had not touched any yarn or baked anything or cleaned. Did I mention my coffee was cold? I gave up, grouchy. The Manfriend took a turn, bought a new router which did not fix the problem and then proceeded to call the cable company. Still my internet is intermittent. I cannot visit and post like I want. We may not be able to schedule an on site cable visit for a week with our work schedules. We are scrambling for child care slightly more fun than going to work with Mom and Dad. But personally I'm not that stressed about it now that he's older. If I had internet I might be able to work from home... Oh well. I can handle being internet free. But I get really frustrated when something should work isn't. 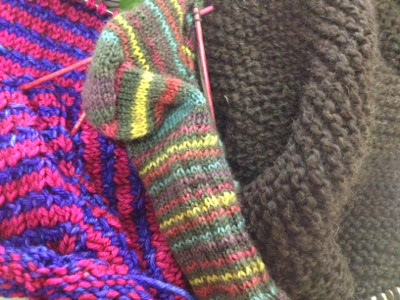 Something knitted or at least more cheery soon! I'm just pouting a tad! How do you handle technical issues and outages at home? How do you manage your pouting? I'm working on the longest rows of stockinette right now. It's a dreary phase of knitting, but I haven't the oomph for something new. I know I'm like a moody grounded teenager!